Motorsport Airbrush art produced by Jason Fowler, one of the worlds leading helmet design artists, and official helmet painter for Lewis Hamilton. New Jenson Button & James Hunt Prints AVAILABLE NOW! 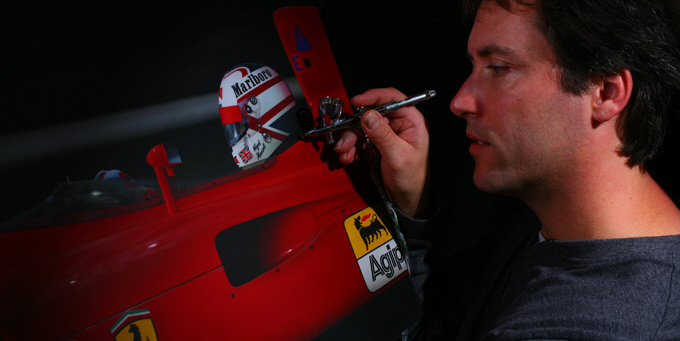 Images from the world of motorsport meticulously airbrushed to the highest standard. 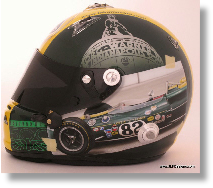 Airbrush artwork transferred to the helmets of the worlds top drivers, by one of the leading helmet paintwork specialists. Airbrush artwork and old-style pinstriping, transferred to any surface imaginable. Highest quality limited edition Giclee prints of our motorsport artwork, available to buy here. 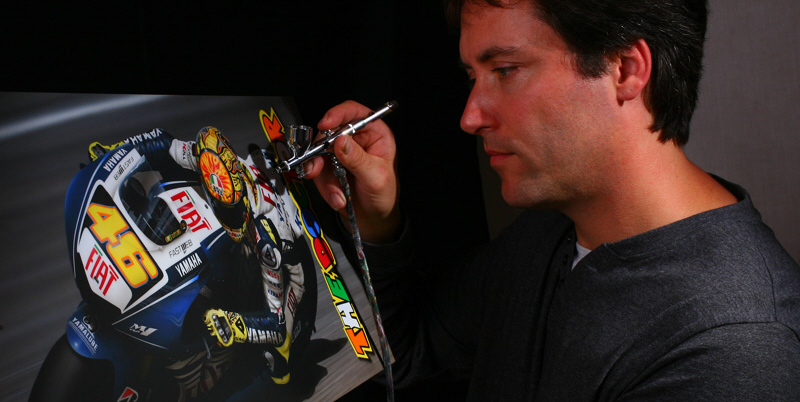 Jason Fowler has been a successful motorsport artist for over 20 years. 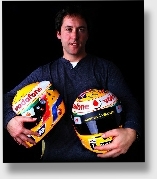 With his company JLF Designs, he has worked with some of the motor sport Industries leading companies and drivers. One of the worlds most respected and established helmet artists with a reputation built on innovation and photo realistic airbrush artwork. Jason is happy to undertake private commissions for airbrush murals, but these are limited to only a few per year due to the countless hours involved in each picture. Please email us your requirements for a quote for the cost and timescale. To go to our main helmet design website, please click here.